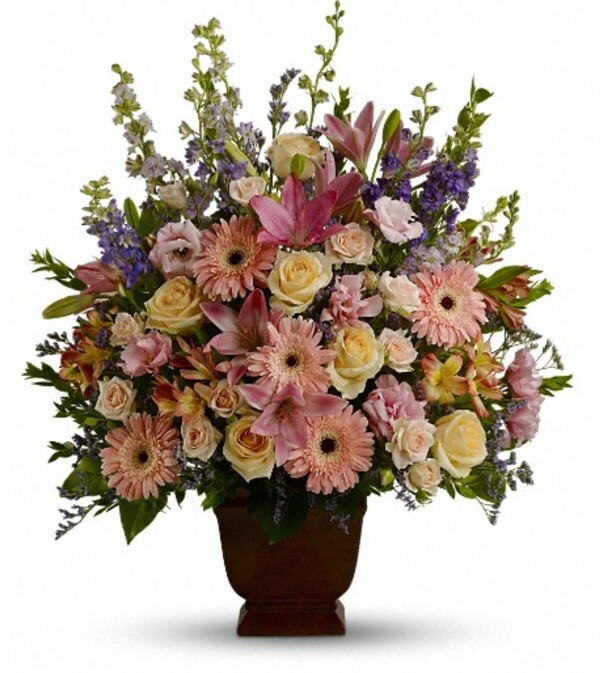 A warm and peaceful bounty of pastel blossoms gently expresses love and respect. 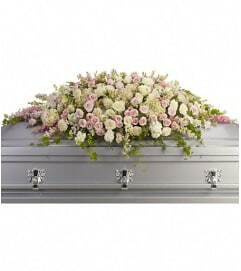 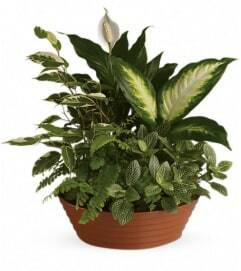 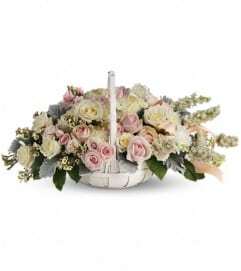 A gracefully composed arrangement appropriate for home or service. 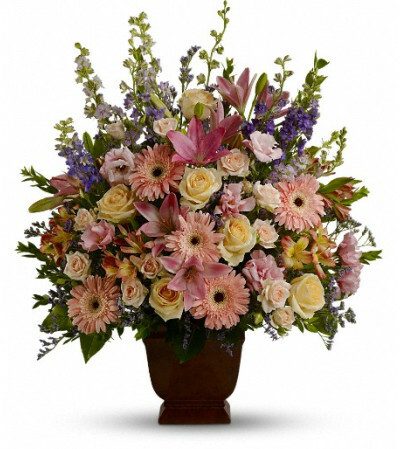 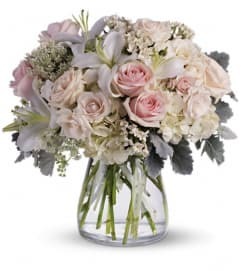 Fresh flowers such as peach and light pink roses, lavender and purple larkspur, pink asiatic lilies, alstroemeria, gerberas and lisianthus are set in an exclusive Noble Heritage urn.